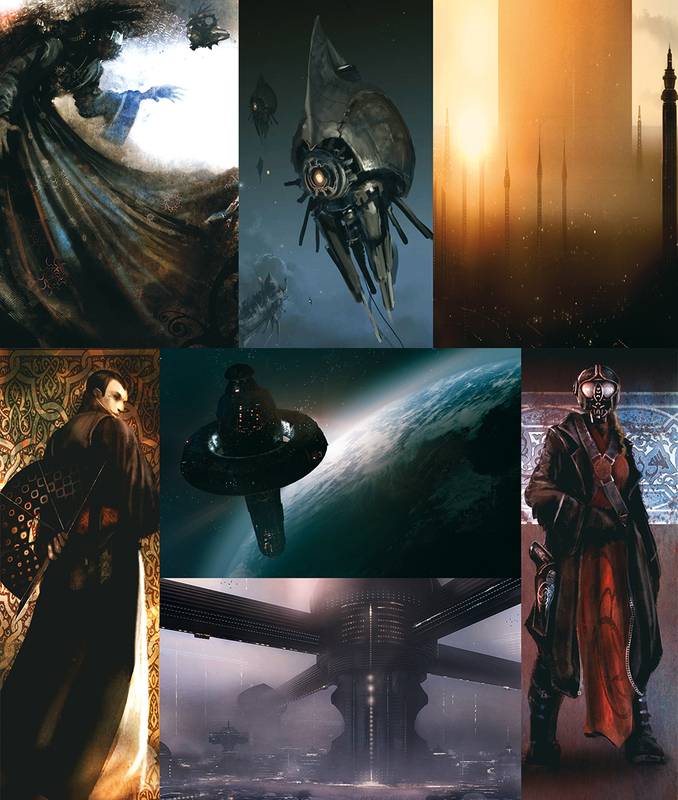 I present to you the new Crowdfunding Collection #72 – Part 1 of 3, including every tabletop project started between 03.05 and 03.25. Thanks to the sheer amount of projects started within the past three weeks, I decided to split the collection into three parts. This part does contain all projects in German or from Germany as well as all projects in either French or Spanish. In regards of the German projects am strongly in favor of the translation of Coriolis by the publisher Uhrwerk. I got the English edition and am looking forward to the localized one, specially considering that Uhrwerk proved to be quite capable in handling previous crowdfundings. You’ll find that parallel to this projects there is as well a French project for the translation of Coriolis. Proving that the the system spreads quite a bit. I do like and would recommend the C-EL DICE, which offers nice dice made in Germany. Though the whole project is presented in English and thus invites a more international audience. Another noteworthy project is ERDENSTERN Live In Concert, which offers to elevate the atmospheric sound of the band Erdenstern to an orchestral level. You’ll find that the 3W6 Podcast seeks the support of patreons for their continued podcast, as well as Spielerverzeichnis asks for support to continue helping gamers to find each other. In regards to the French project, you should check-out Meute, which happens to be the 100st project on the GameOnTabletops plattform. 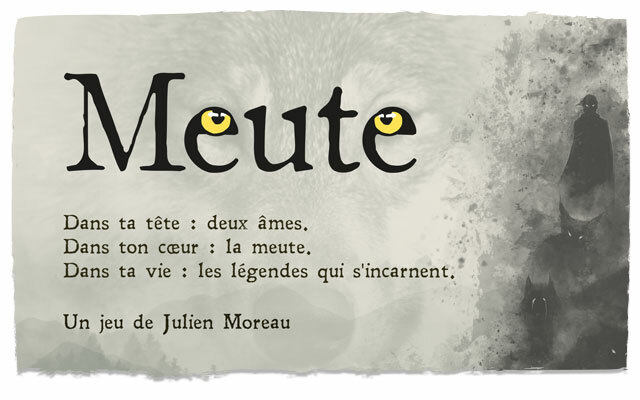 Meute explores the folklore of (South) France in regards of Werewolves and will offer the character two sheets for their two lycantroph forms. The human one as well as the wolf one. The whole concept and design really does look exciting. Then there is P.I.R.A.T.E.S. A rather rules light, short in pages game in which players assume the roles of pirates. The game is designed to be enjoyed by adults as well as young gamers. Last but not least there’s Cartes fantastiques offering really cool looking map stuff. The Spanish novel CALAMITY does offer some reading material for those who like the D&D setting of Akuma. Wo sich Firefly und 1001 Nacht treffen: Erforscht den Dritten Horizont, entdeckt alte Mysterien und werdet Teil der Ränke dieser Welt. Ein besonderes Konzerterlebnis, gespielt von einem großartigen Symphonieorchester, 80 Musiker stark – das ist unser Ziel bei unserem Crowdfunding. Wir erstellen und Pflegen eine Seite, die es Menschen ermöglicht Mitspieler für ihr Hobby zu finden. Egal, ob zum Pen&Paper Rollenspiel, LARP, Trading Card Games, Brettspiele oder Tabletop. Die Erstellung der Seite macht mir viel Freude und ich habe Spass daran zu sehen, wie sie wächst. Auch habe ich bereits sehr viel über die Technik und auch über Menschen gelernt. Ich fände es toll, wenn sich der eine oder andere Nutzer finden würde, der diese Arbeit unterstützen möchte. Meute est un jeu de rôle qui vous propose d’incarner un Neuri, un lycanthrope vivant parmi les hommes en France et de nos jours. Vous jouez deux personnages, deux esprits, deux âmes qui cohabitent dans le même corps : un homme et un loup. Avec les autres joueurs, vous formez une meute unie par des liens forts, ce qui n’empêche pas les tensions et les désaccords. Un peu de thé dans vot’rhum, Amiral ? Coriolis – Le Troisième Horizon est un jeu de rôle situé dans l’espace. Vous y trouverez donc des vaisseaux, des stations spatiales et un fond étoilé, comme dans la plupart des autres JdR basés sur le même thème. Coriolis se différencie toutefois de ces autres univers de science-fiction par son environnement social, fortement inspiré du Moyen-Orient. La liste ci-dessous détaille les caractéristiques uniques du jeu. I have to show my appreciation to this writer just for rescuing me from this particular trouble. Just after researching through the internet and seeing principles which are not pleasant, I thought my life was gone. Existing without the strategies to the difficulties you’ve resolved by way of your main review is a crucial case, and the ones which may have badly damaged my career if I hadn’t encountered your blog. Your good capability and kindness in taking care of all the things was priceless. I am not sure what I would have done if I hadn’t encountered such a stuff like this. I can now look ahead to my future. Thanks very much for your impressive and sensible help. I won’t think twice to refer your site to any individual who requires support about this problem.